Size of Property : 856 sq.ft. 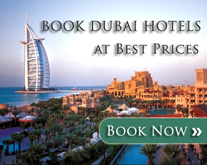 Offering you this exclusive boutique property- one of its kind in Dubai. Calm suburban location minutes away from the city. Resident can enjoy high capital appreciation after the area will be fully developed. Located in the closest proximity to the entrance of the community. Call Mohamed PEED Al Fakir 6819 on +971 525561815 / 043233609 or visit www.providentestate.com for additional details.